Mumbai (Bombay) is the populous city in India. Looking to buy a property in Mumbai. Get details of all Real Estate Projects in Mumbai. Oberoi Exquisite is located in Goregaon (East), Mumbai. Nestled amidst a sanctuary of trees and gardens, Oberoi Exquisite is a world tucked away somewhere between imagination and reality Oberoi Exquisite offers a choice of Exclusive Penthouses, 5 BHK Duplexes & Spacious 3 BHKs apartments in Goregaon East. Oberoi Seven is located in Goregaon (East), Mumbai. Oberoi Seven Nestled amidst the wonders of nature and miles away from the cacophony of the Mumbai city. Oberoi Seven, is situate in Oberoi Garden City, Off Western Express Highway, Goregaon (E). These residences open up a rare possibility of holidaying every single day of the week. 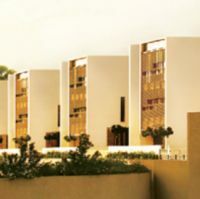 Oberoi Garden City was created with a vision to provide a holistic living experience around Mumbai City. 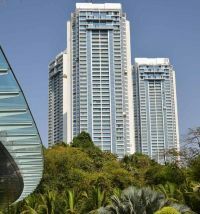 Oberoi Garden City comprises of Oberoi Mall, Oberoi International School, The Westin Mumbai Garden City, and a mixed-use office tower.